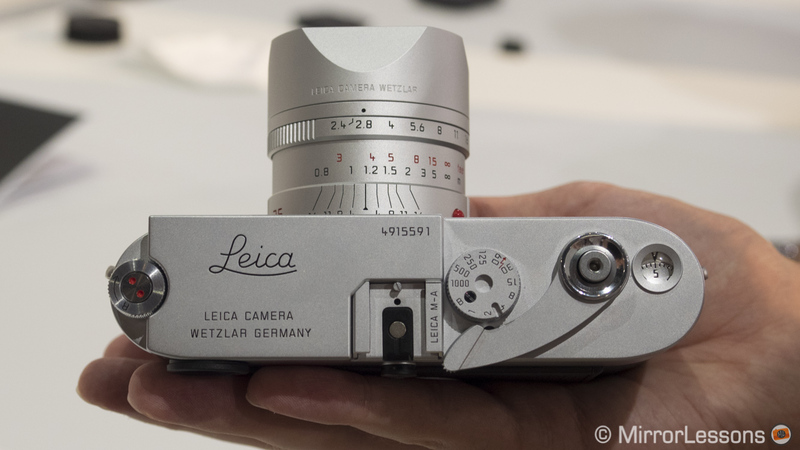 Leica announced plenty of new products at Photokina and its booth was also one of the most elegant including a very nice gallery featuring Leica photographers from all over the world. After our interview with Rachel Barker (Head of PR), we stopped at the various desks to try the new products. Two of them were related to the history of the brand. 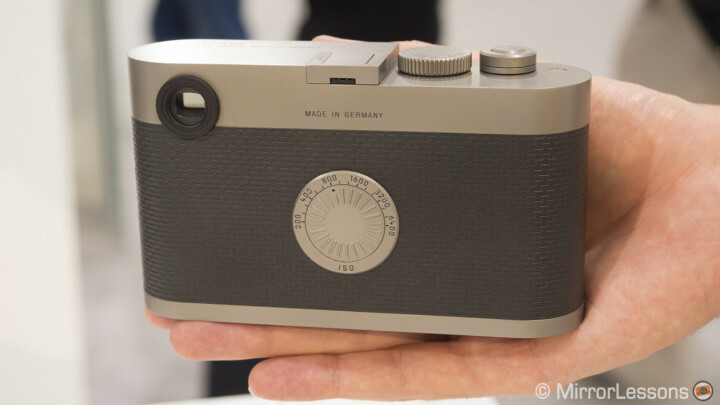 After releasing a special edition of the Leica M for to celebrate 100 years of Leica photography, the German camera brand also announced another special edition to celebrate 60 years of the M system. There was also a new film M camera that pays tribute to and supports the use of film and analogue photography. 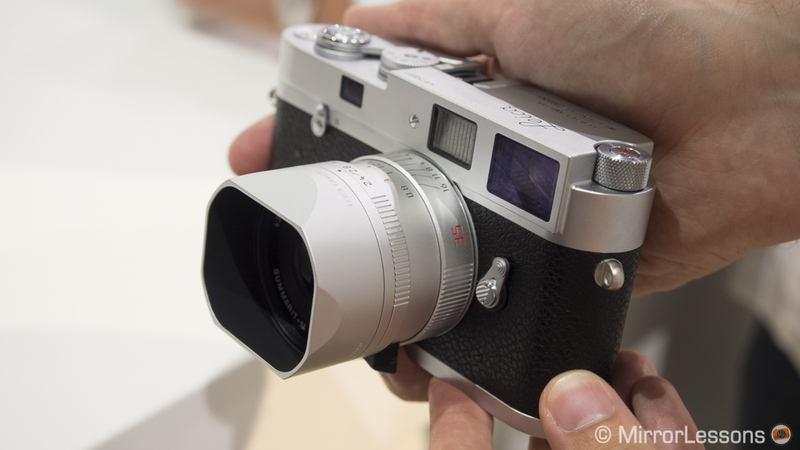 So, what are these two new Leica M cameras exactly? The M-A is a purely analog film camera with just the essential dials to operate the two most important settings: a shutter speed dial on top and an aperture ring on the Leica M lenses. It doesn’t have a metering system or any other type of exposure assist. It doesn’t even include a battery as the camera is totally mechanical. Leica is still producing analog cameras alongside their digital products and the M-A is not only an anniversary celebration but also a tribute to film to remember its historical importance. The M-A is a little masterpiece as far as design and mechanics are concerned. Holding the all-metal body in my hands and listening to the sound of the shutter speed dial or the wind lever, I immediately got the feeling that this is a camera made to endure the ages. Of course it features essential information to shoot film such a frame counter on top that automatically resets when the camera’s baseplate is removed, the R lever to disengage the film and a rewind knob to manually rewind the roll of film once you’ve used up all the exposures. You can also mount a flash unit on the dedicated hot-shoe. The M-A will be available in October 2014 in a silver and black edition. Both cameras feature an M-P like design without the classic red logo on the front of the camera. It will be supplied with a roll of Kodak Tri-X 400 black and white film that also celebrates the 60 years of its existence. 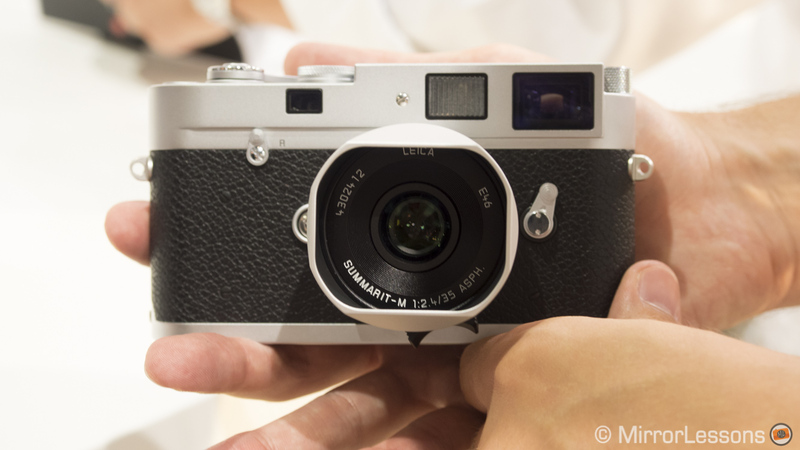 The Leica M-60 is a special edition designed by Audi to celebrate the Leica M’s 60th anniversary. It is a digital M camera (precisely an M-P type 240) but like the M-A, it has been reduced to the essentials: there isn’t an LCD screen and therefore none of the features you could use with an LCD screen are available, such as live view or playback. You cannot select a picture profile or dig into a menu. The images are saved in DNG format (RAW). The SD card is inserted at the bottom by removing the baseplate as you would for film. The M-60 features a shutter speed dial and an ISO dial on the rear and that’s pretty much it. The only clue that indicates it is a digital camera is the on/off switch around the shutter release button. The camera is made of stainless steel with a special anthracite-coloured genuine-leather applied to the camera body. While the construction once again is marvellous, the camera is actually really heavy. The M-60 will come in a kit with a special edition of the Summilux 35mm f/1.4 that is made of the same material to match the camera’s colour and design. There are only 600 models available worldwide, which means that this camera is more of a collector’s item than a photography tool (oh yeah, and it costs $19,000). And here comes my very personal thought about this: I think that Leica might have unwittingly missed out on a great opportunity. I understand that the brand sets a very high standard for their cameras by mixing modern technology with a traditional handcrafted design. I understand the marketing decision to keep Leica an exclusive brand with a very high target price. 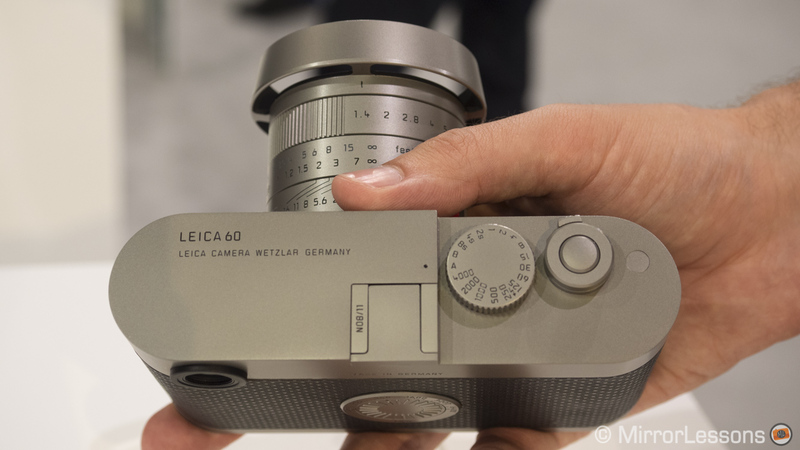 I also understand their desire to release exclusive and rare versions of their cameras to celebrate an anniversary as important as the first Leica M.
But wouldn’t it have been wonderful for Leica to celebrate the M-camera’s anniversary by introducing an “entry level” M that not only paid tribute to the essentials of photography but also opened Leica’s doors to new customers? Imagine a Leica M-60 with a standard Leica M design and build (like the M-P) with the same exact features–no LCD screen, no button layout on the back or other fancy features, so that Leica could justify reducing the price. 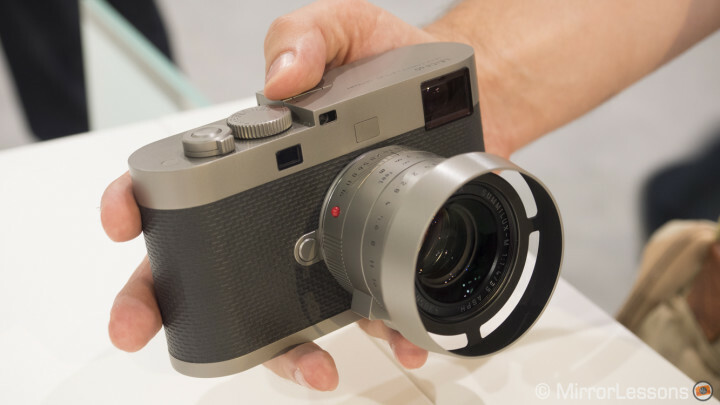 Wouldn’t a camera like this be interesting for customers who would love to start using a Leica but can’t afford one? Moreover, to encourage people to start using a Leica in the digital era, with a camera that focuses only on the essential settings (and consequently, supports the concept of pure photography) would also be a perfect way to pay tribute to photography itself. This kind of camera could also be the perfect tool to use at workshops that teach the basics of digital photography. Of course there are many ways to start using a Leica camera and the best way is to get a second-hand digital M or buy an old M film camera. I am not a frequent Leica shooter and purists who love the brand might think I don’t understand the essence of the brand itself. But I can’t help but think that somehow it is a shame that a digital camera that focusses only on the essentials, meaning it is a unique product on the market, has to be such an unattainable luxury product for wealthy collectors rather than a camera that many people could actually use. 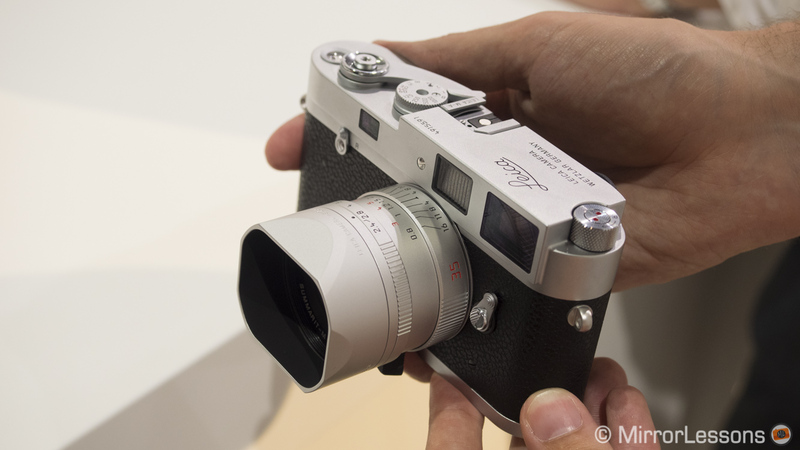 What are your thoughts about the new Leica M-A and M-60? Let us know in the comments below!